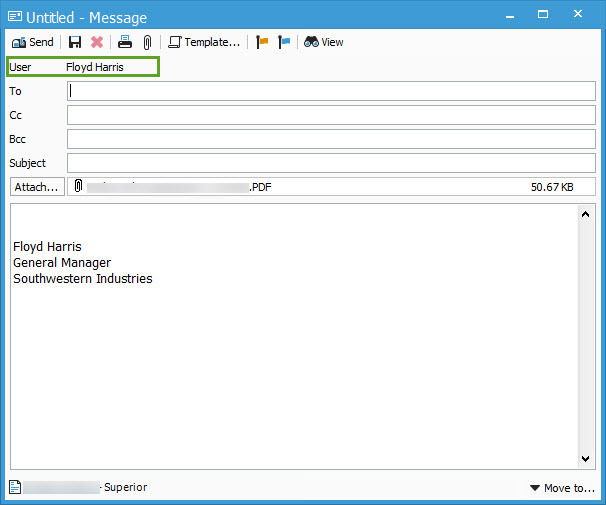 When composing emails in Acctivate, users can modify the From email address under certain circumstances. 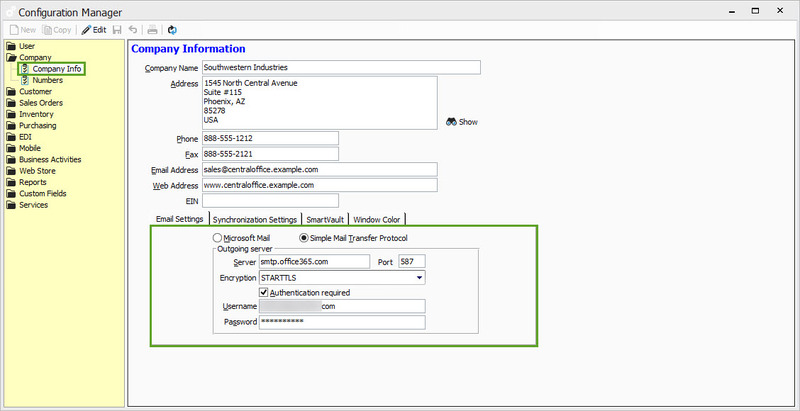 If company is set up to use MAPI, the From email address cannot be altered within the composition window. 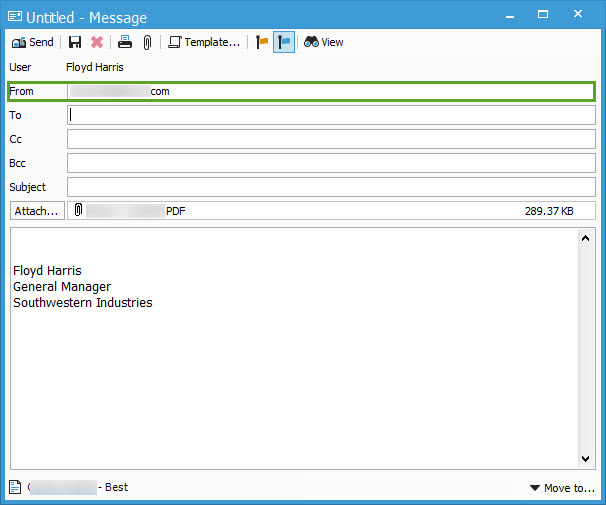 Under an SMTP configuration, however, the From address can be altered within the composition window. To set this up, use a SMTP configuration at the company level. There is an article with the full details on how to properly set up SMTP in Acctivate here (speak with your IT team for details regarding your specific server settings). Even if you have the user set to use a personal email address with SMTP, the company email settings need to be using SMTP for this to work. Once you have it set up in the Company Info section of the configuration manager, try emailing from with Acctivate and you should be able to edit the From address. Note: The above settings are for an Office 365 set up.